Though the villain in Misery may be one of the least realistic ones on this list, the character is no less chilling for that perception. Kathy Bates turns in an overwhelming performance which ranks with the best of her illustrious career. Though the plot of this film is an unlikely one, it’s not completely implausible, and it strikes fear into our hearts as only a tale from the mind of Stephen King can. When an obsessive imagination meets reality, the results can be explosively unpredictable, as Misery’s story shows us. 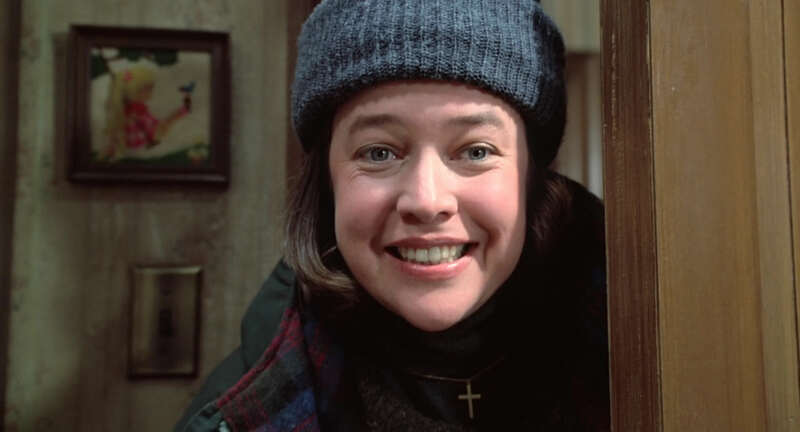 Kathy Bates plays Annie Wilkes, a nurse who stumbles upon a famous writer who has just been in a car wreck, and brings him to her house for medical care. As it happens, Annie is the author’s “number one fan” and has very specific plans for their time together. As she reads the manuscript of his latest book, she becomes angry over the plight of its protagonist, and forces the bedridden writer to change the plot to suit her fancy. When he resists, Annie makes it clear that the consequences of disagreement will be dire, and the novelist enters upon an unexpected fight for his life. Bates channels a ferocity which makes this villain one of the all time greats and earned her an Oscar for her work. Can a nurse who seems to be spending her life caring for the mentally ill be considered a villain? One Flew Over the Cuckoo’s Nest answers that question with a resounding “Yes”. Though there’s no intent here to disparage the many noble souls in the profession, Louise Fletcher’s caregiver clearly ranks among the most memorable villains in cinematic history. A woman with a noble occupation and perhaps originally good intentions goes badly wrong in this iconic story. Becoming spitefully obsessed with rules, and forgetting the individual needs of other human beings, Fletcher’s character dives into the deep end of villainy. The conflict begins when Jack Nicholson’s character is placed in the mental institution where Nurse Ratched works. He arrives determined to not play by the rules and to have as much fun as possible. When his rebellious spirit starts infecting the other patients, the wrath of the nurse is kindled, and she becomes determined to stop him all all costs. This is a film which explores the feelings of its characters with great depth, and the villain’s antagonism toward them feels especially stark by contrast. The grim face of Nurse Ratched is an iconic part of cinema history, and we owe the debt for it to the great Louise Fletcher. No Country for Old Men epitomized a type of villain who is all the more chilling for his lack of charisma. A cold-blooded, remorseless killer haunts this spare, enigmatic film like the ghost of the normal human being he once was or might have become. In sharp contrast to the fantastic or cartoonish villains which populate many films, Javier Bardem’s character is frighteningly believable in spite of – or perhaps because of – his laconic persona and restrained, emotionless performance. This villain is one with little backstory, and near the beginning of the film we’re shown that he kills based on whether the potential victim can correctly guess his coin toss. A void of morals so profound that it relies on mere chance to dictate acts of violence is frightening to consider. When a local Texan happens upon a stash of money in the desert, he little realizes that he will become the target of the deadly assassin’s attention. But once the chase begins, it’s clear that neither party will give up without a fight. 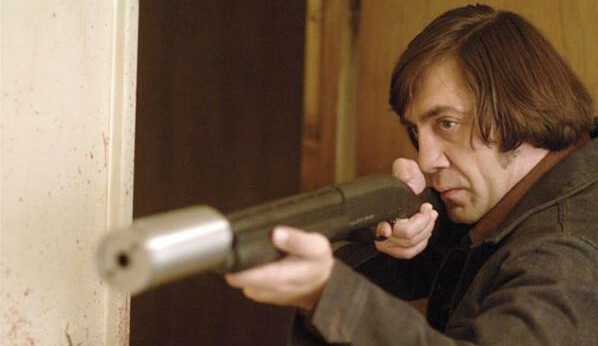 Bardem stalks his prey and this film with a dead stare which will stay with you long after the credits roll. Heath Ledger approached the role of a character named The Joker with a seriousness and dedication well beyond his years. He immersed himself in this character to such an extent that this villain ranks among the most memorable of all time. Painting his whole persona with the traits of the villain just as he donned his iconic grin, Ledger turned in a performance which would have become legendary under almost any circumstances. With the film’s release coming nearly six months after his unexpected death, the role takes on a special poignancy. The second of Christopher Nolan’s Batman trilogy was, as with many trilogies, a darker installment. Aptly titled The Dark Knight, the film explores the complexities involved in acting with good intentions, as well as the implications of deeds that appear superficially evil. 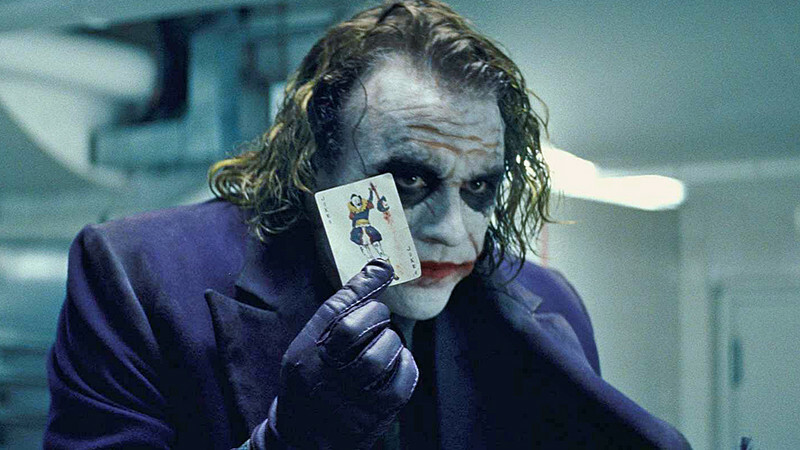 The Joker emerges as the primary villain in this film, and Heath Ledger brings a ferocity and a psychological depth to the character which exceeded the expectations of fans. As the Joker sets up scenarios designed to undermine Batman’s belief in the concepts of good and evil, the audience is taken on an unpredictable but thrilling ride. Discovering which character emerges as the hero, and which is branded the villain is left for the final frames of this film which was rendered immortal due to Ledger’s powerful performance. New standards for chillingly charismatic villains were set when Anthony Hopkins sank his teeth into the role of Dr. Hannibal Lecter in The Silence of the Lambs. He committed to the role with every fiber of his being and played the charming killer with unforgettable relish. His take on Dr. Lecter played up the intellectual finesse of the madman whose refined tastes upend the traditional notions of a villain. If one of the ultimate bad guys listens to classical music and spouts erudite quotes with regularity, it’s difficult to know who can be trusted. This kind of unease keeps the viewer on edge and makes The Silence of the Lambs a memorable viewing experience. Though Anthony Hopkins wasn’t the first to portray supervillain Hannibal Lecter (that honor belongs to Brian Cox in 1986’s Manhunter), he immortalized the role in a way that made it uniquely his. 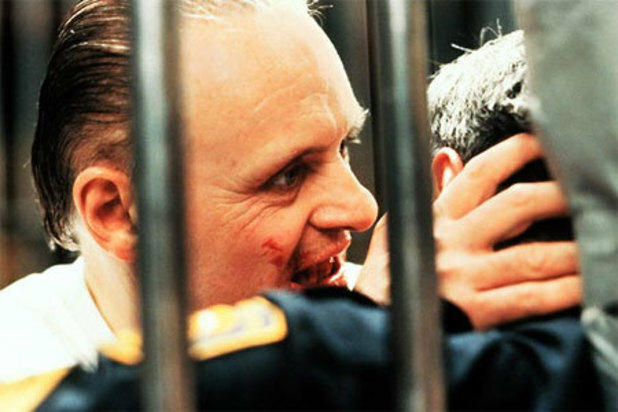 In this film, Lecter is already in prison, where he is called upon by a young FBI agent named Clarice Starling. Her goal is to use his insight to help her catch another criminal, but the two soon begin a game of cat and mouse which becomes the central focus of the story. As Lecter, Hopkins pours on the charm and mixes it with moments of terrifying ferocity, when the true nature of the killer shines through. The Silence of the Lambs is an outstanding film, but it’s impossible to imagine it without the legendary, Oscar winning performance of Sir Anthony Hopkins.